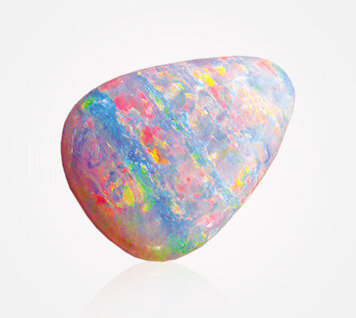 Crystal Opal is the descriptive trade name given to Opal that is semi transparent, without milkiness, and exhibits a moderately rich play of colour. The body tone, although still transparent can range from a light colour to black. The play of colour bursting from this body tone can include rich blues and purples, vibrant greens and red, sunny orange and gold colours and any other colour nature can invent. 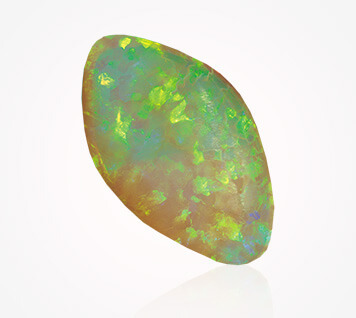 Crystal Opal is the same chemical makeup of black Opal, it’s translucent body tone that has earned it the trade name “crystal Opal”. 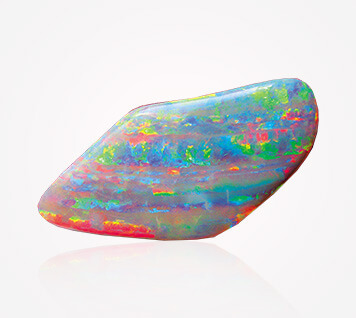 Crystal Opal can find in various locations including Lightning Ridge, Whitecliffs, Coober Pedy, Andamooka and Queensland.